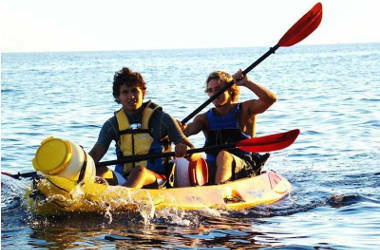 Kayac is one way of doing it and that is why we would like to offer you this activity. Try and enjoy it. 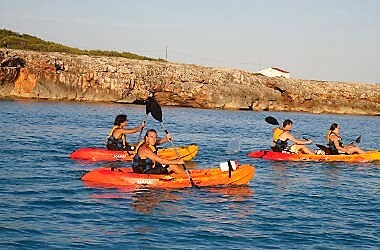 You can rent them or come for an excursion with us. 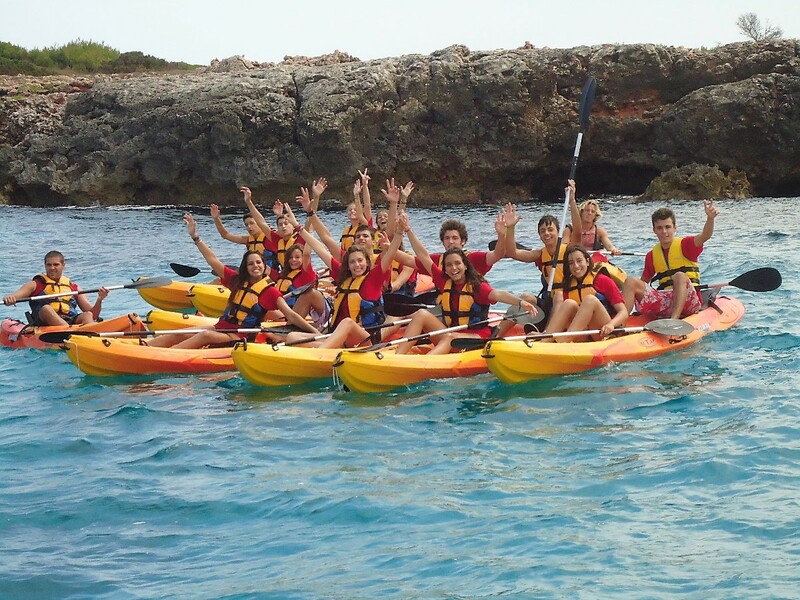 Discover Menorca´s South coast, its little secrets, its wonderful beaches and clear water. 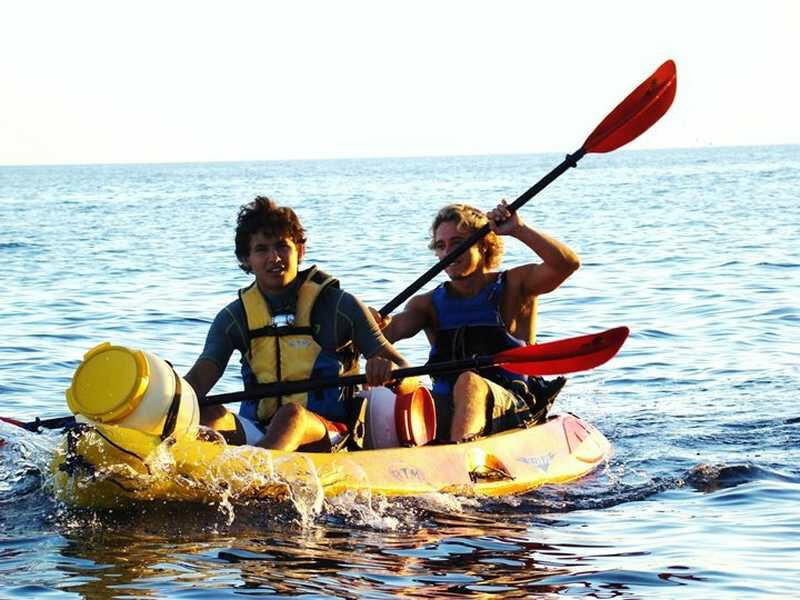 Our kayacs are suitable for all ages. They are quiet wide and stable. No experience is required. 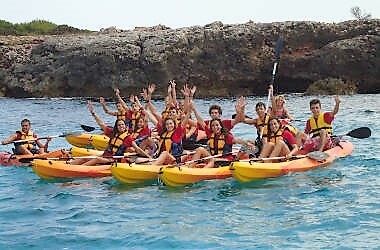 If you wish you can rent one and enjoy a trip by yourself or with a group of friends, for 1hr or more, or even all day. Morning trip: ideal for the youngest of the family. Lets enjoy the ride and have a nice breakfeast in the middle of the sea. 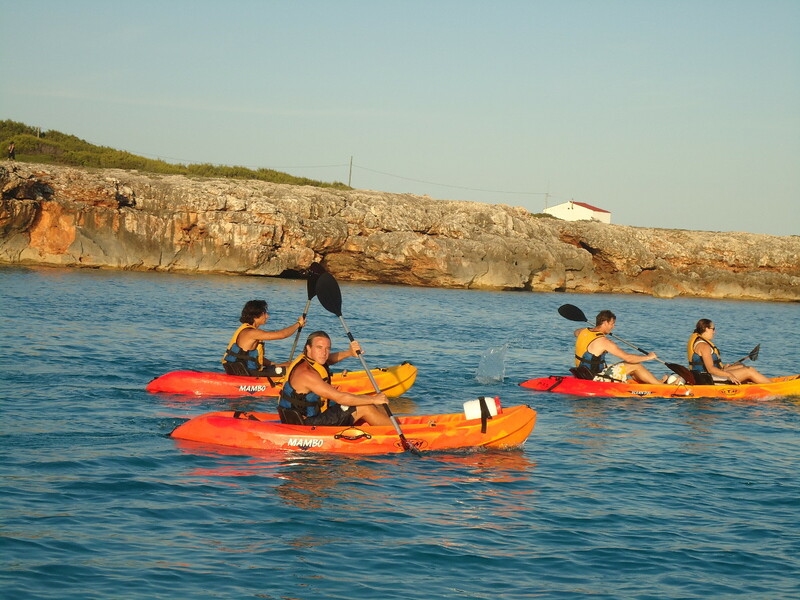 Sunset Excursion: ideal for couples or a group of friends. Enjoy a beautiful ride along the coast and the sunset coming down over Cap d´Artrutx light house.